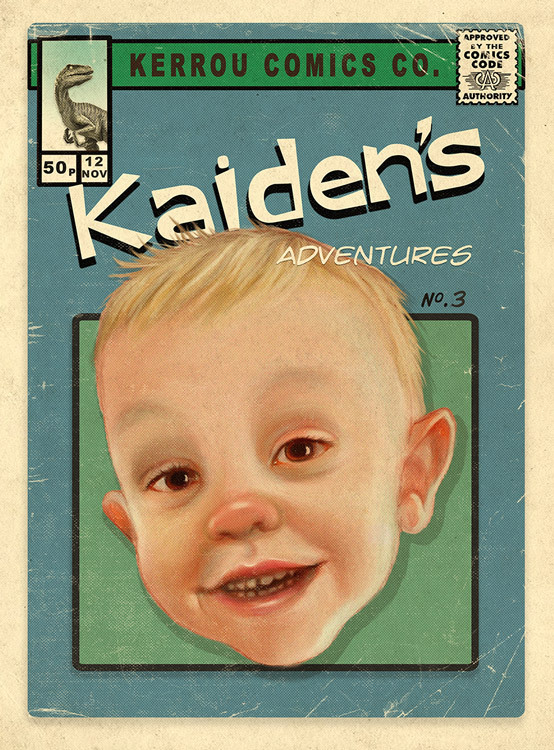 The client wanted to celebrate his wife’s birthday with comic book covers of their 2 sons. This is Kaiden. He’s always up to something! I like to place a treasured possession in the top left corner art. In this case Kaiden’s favourite thing is dinasaurs.